The US and Russia don’t agree on much – but they are both keen to develop a good relationship with India. How do we know? Look at the arms trade. From the Middle East to the Magnitsky affair (when a Russian lawyer was arrested and later died in jail in 2009 after allegedly uncovering a vast network of corruption), Russian and US officials continue to see past each other. When US officials worry about democracy in Russia, Vladmir Putin never hesitates to bring up the specter of Guantanamo. However, there is one area of the globe where Russian and American interests intersect: arming India. The US and Russia have strengthened their ties with India in recent years, partially because they see the sub-continent as a counterweight to China. Historically, Russia has had much stronger relationships with India than any other BRICS country. And one of the unheralded successes of President George W. Bush was the decision to give India the geopolitical attention it deserves. Obama has largely maintained that policy. 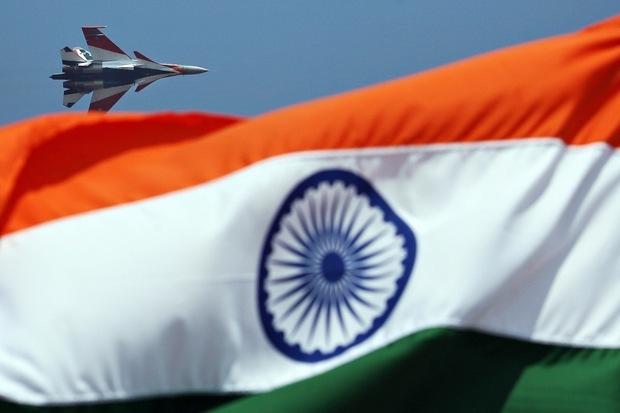 In recent years, both countries have competed for arms exports to India. Last year, India signed a 1.4 billion dollar contract for 22 American-made AH-64D Apache Longbow helicopters, another 1.6 billion dollar agreement for 42 Sukhoi Su-30 fighter jets (to be built in India), and a third deal worth 1.3 billion dollars for 71 Mil Mi-17 helicopters. Two worries remain: the US is reluctant to sell some of its most advanced weapons systems to India, and arms deals with Russia have frequently resulted in delayed deliveries. In naval matters, American software compliments Russian hardware. India is determined to have a naval presence east of Suez and east of Malacca. In recent years, the US has accommodated that desire, exchanged intelligence with the Indian navy and participated in the joint Malabar naval exercise. Russia is preparing to finally deliver the aircraft carrier “Admiral Gorshkov” to India by the end of this year (after many delays). Russia’s President Vladimir Putin and US President Barack Obama have both signaled that they will renew their political engagement with Asia. From the Indian perspective, it is advantageous to attract interest from both countries and to maintain a diverse array of arms suppliers. That is one of India’s geo-strategic goals. Indeed, the development of India’s defense capacity is one area where American and Russian interests could align for the coming years. Read more in this debate: George Friedman, Alexander von Hahn, Pierre Calame.